Nothing screams amateur author like a poor book cover. Self-published business authors are just as guilty of this as self-published fiction writers. It just breaks every rule in the book business—or any kind of business—to produce a substandard product. Get the cover wrong or worse publish a poor unattractive cover and it is the death knell for the publisher and author. This first impression hasn’t changed and the cover still the number one element to get right. There are teams of publishing people in editorial offices all over the world that wrestle and argue over book titles so don’t feel alone in this lonely process. This is one of the most difficult areas of planning your self-published book because, to many authors, it seems so easy. And sometimes it is – a book about gardening in a greenhouse could have a straightforward the “it is what it is” approach. But it could have a provocative title that makes it stand out from the crowded gardening shelf too. The title of your book is not necessarily what your book is about. There are hundreds of memorable titles that at first glance would not explain what the book is about. Two I can think of: What Colour is Your Parachute, a book about how to find a job, and Freakanomics, a book about odd economic events that turn the world upside down. One of the huge advantages of self-publishing can also be one of the biggest challenges. Self-publishing allows authors to dramatically speed up delivery of their book. But as with many things in life rushing or forcing something through a system quickly usually increases the amount of errors. And with a book that can be deadly. This applies to many authors when they can sense they are nearing the end and just want it finished already. With self-published authors it is even worse because they have to switch from author to publisher and, at some point, start to plan for the printing, delivery, marketing and usually much more. Unfortunately this is when the most errors are made whether within the manuscript, production, or elsewhere. One sure way to lose your reader is with uneven manuscript or worse grammatical or spelling errors in your book. I cannot stress enough how important it is to use experienced editors to review your work. It’s not that hard to find good help. There has never been such a wealth of talented freelance book editors in North America. Publisher downsizing, merging publishing companies and general uncertainty in book publishing has forced many experienced and award winning editors to set-up their own freelance business. The Editor’s Association of Canada website has an excellent method to help authors narrow down exactly what kind of editor you need – and how to contact them. So no excuses! I’m not overstating this. Some of the queries I receive have so little objective feedback, so little editorial screening that leads to almost instant dismissal. It’s sad because many have promise and could be so much more with some belt-tightening, some decisive and judicious cutting, and honest and clear feedback. This is one of the most common areas overlooked by a self-published author. 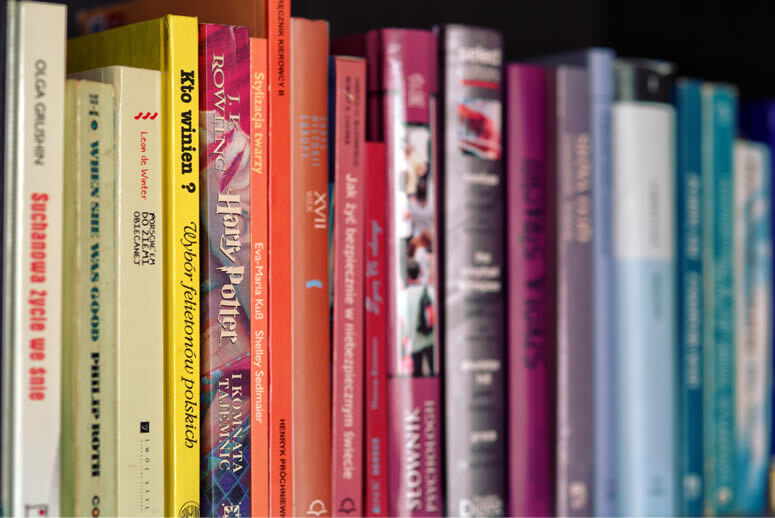 Your book has to have the look and feel of something a good trade publisher would produce – and that also includes having a publishing imprint on the spine. It isn’t that hard to come up with a “publishing name” Something innocuous and neutral—a colour, name of a tree, your street or something related to your business—all would work perfectly well. Leaving that area blank on the spine is a wasted marketing opportunity. Some of my best people I know in publishing are bookstore owners. Come to think of it they are some of the best people I know period. Dedicated, passionate about books and authors, they want to bring more reading pleasure to their customers. But – and it’s a big but - it doesn’t mean it is the best place for your self-published book. There is a lack of understanding about what a bookstore can do for your book. They provide a place for your book to be displayed but the publisher and in the case of the self-published author – you! – drive customers to the brick and mortar store to seek out your work. Are you prepared to do that? Do you have marketing funds set aside? Because if you can’t or don’t, then the hard work you undertook to get your book into stores quickly reverses and the books come back to you. Bookstores generally take books on consignment and retain the ability to return unsold stock to you. There may be a time to place your book in selected stores. Just be patient with the process. If you thought the writing, planning and publishing part was hard wait until you start dealing with distribution and trying to draw attention to your book. What to do with your book when it’s done and in your hands has as much to do as what your book is about and why you started in the first place. There are some who, smartly, use the book as their $20 business card. That is the essence of our business imprint Brilliant Idea Books. The book allows the author or a business entrepreneur as the “expert” in whatever their line of business or professions is. The book becomes part of the author or business branding and is an invaluable tool to stand apart from the competition. I was a book publicist for many years so I think I have some insights into how they work and what value they bring to the publishing equation. Book publicity, when all is said and done, is about timing. If you have the book in the hands of the right media and books are in the right distribution points, it can have a powerful and profitable effect. However this chain of events doesn’t always fall into place naturally. Book publicists can be a key component of your plan but hire them at the right time and for the right reasons. One of the great advantages self-published authors have over traditional trade publishing houses is the ability to move quickly with marketing plans, sale opportunities and promotions. For example, one of the most effective marketing tools you have is right in your hands – your book! If you printed a reasonable amount then your unit cost is low – maybe less than 10% of your cover price. Therefore use the book as a giveaway – free mailings to a targeted group of people who would be intently interested in what you have to say. Use your book as a prize in radio stations giveaways, school fundraisers, local newspapers contests. You need exposure and your book is the best way to attract attention to – your book!